Sweet meets the metabolic demands of your plants throughout their life cycle by providing vital compounds when the plants need them most. All Sweet flavors are scientifically formulated with: carbohydrates, organic acids, vitamins, and amino acids. This ensures healthy leaf growth in the vegetative stage and a stress-free transition to the fruiting/flowering stage with hearty, fruitful crops. 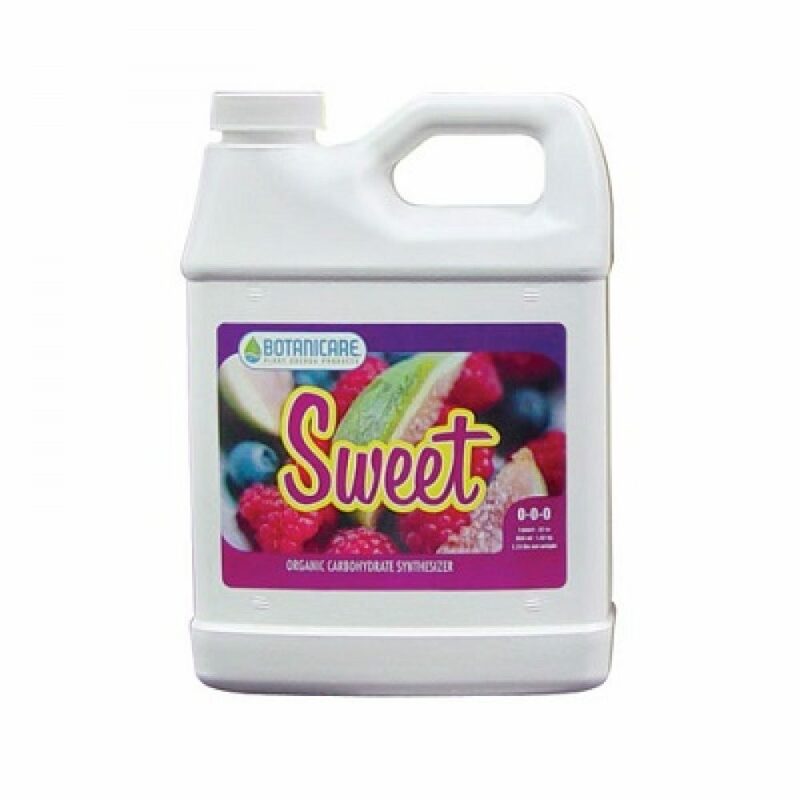 Sweet Berry, Citrus and Grape also provide aroma and flavor enhancing bioactive esters to give you sweet smelling and tasting plants, while New Sweet Raw helps enhance your plants' natural flavors and aromas.